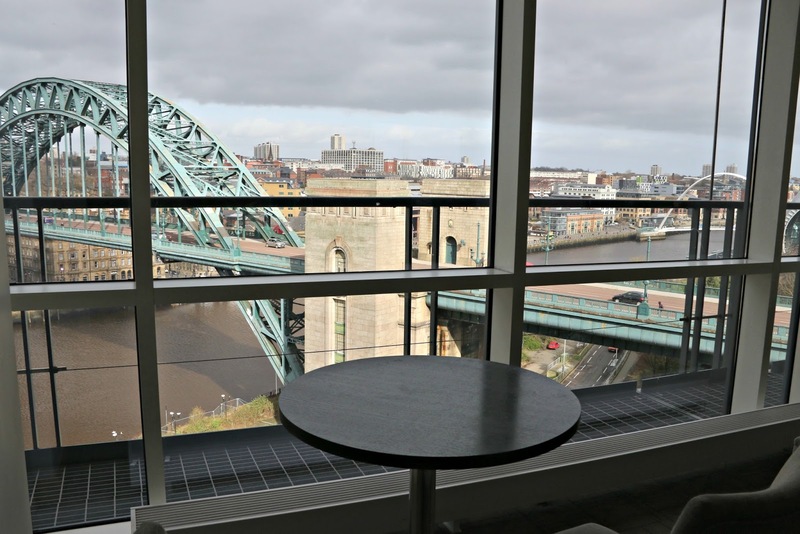 Of all the ways that I could spend a Sunday evening, a night at the Hilton Newcastle Gateshead Hotel has to be one of the best. 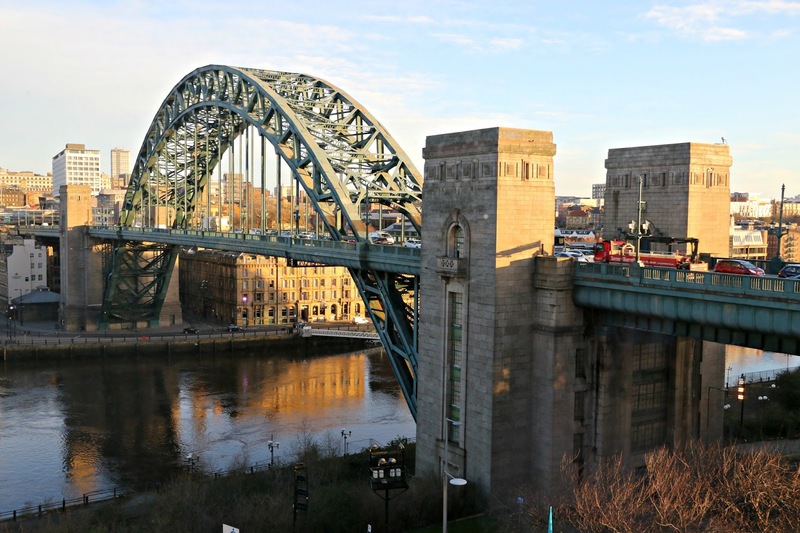 Situated on the Gateshead side of the River Tyne, this hotel has everything you could want for a night away whether you’re hitting the shops and clubs in the city centre, watching Newcastle United play football (albeit badly- I wouldn’t get your hopes up) or heading into the toon on business. 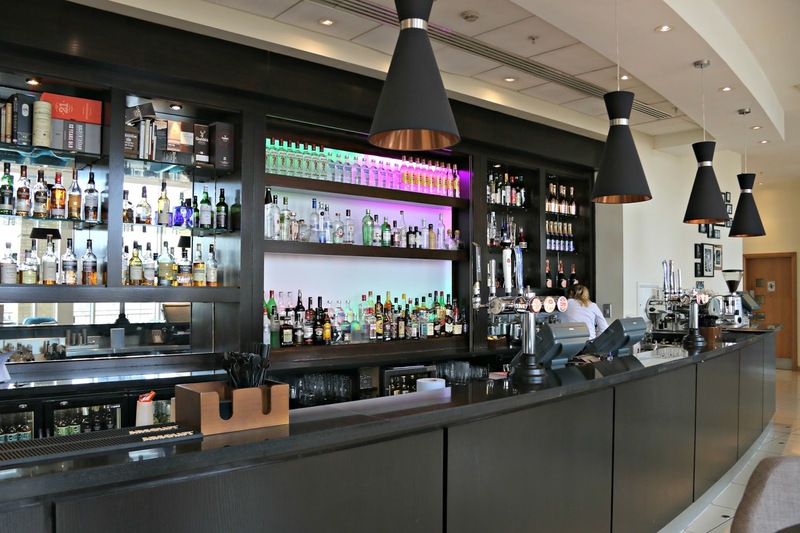 This is a hotel where contemporary styling meets traditional hospitality and personalised service, delicious cocktails are accompanied by even tastier food and a great nights sleep is coupled with amazing views over the Tyne. Check at 3pm was efficient, friendly and more thorough than other Newcastle hotels I’ve stayed in. 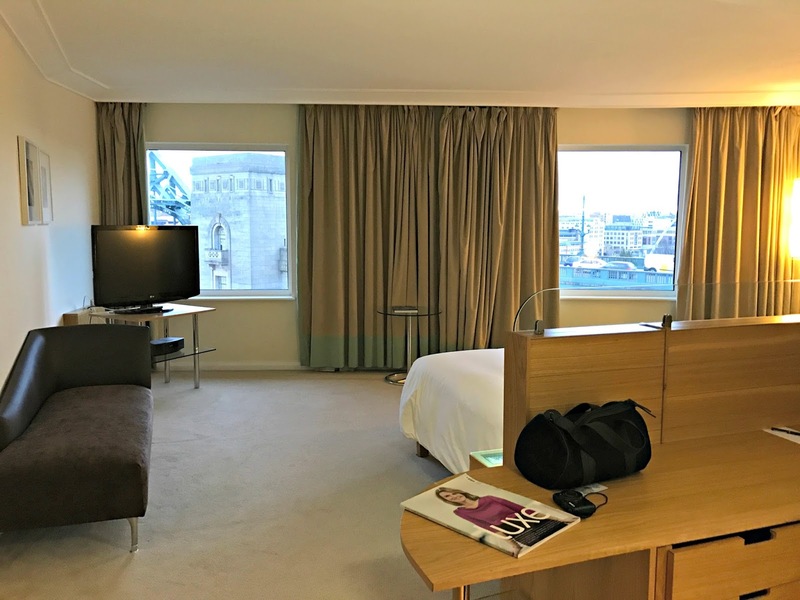 A couple of complimentary bottles of water for signing up to the Hilton Honours Programme later, and we were making our way up to our King Executive Room Plus, room 247. 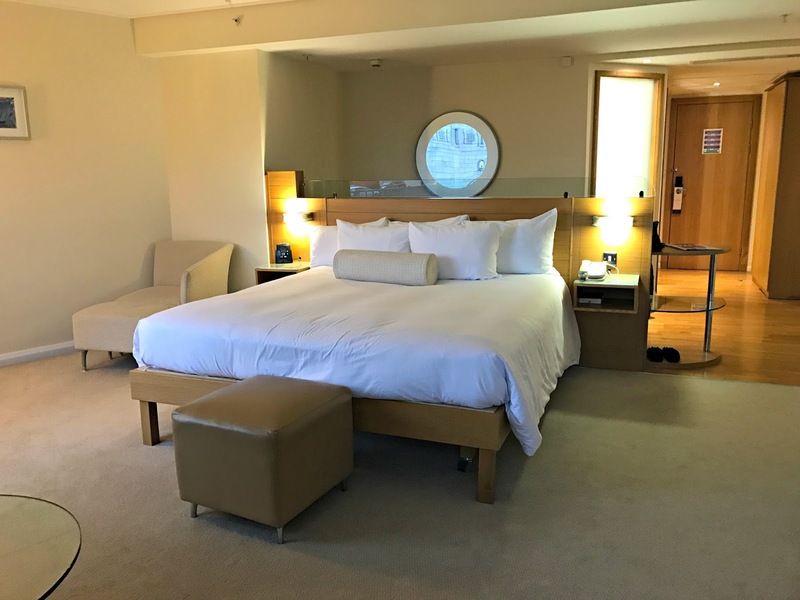 Not only do the Executive rooms offer private check-in and out, they are also fabulous because you get complimentary access to the Hilton’s exclusive Executive Lounge which serves continental breakfast, drinks and snacks throughout the day, all on the house. Looking out over the river, it offers a spectacular view regardless of what time of day you pull up a pew. Not too dissimilar from what could be seen looking out of the floor to ceiling Executive Lounge windows, was the amazing view from our bedroom, which enabled us to take in many of the areas most popular sites out over the river and across to the city; the Sage Gateshead, Tyne Bridge, Swing Bridge and the buzzing Quayside Market on a Sunday, to name but a few. Our room was very spacious and had everything we could have wanted from an overnight stay. When I travel, I look for space, light and mirrors as I usually stay away from home for an event or a special occasion in which I need to have enough space to be able to get ready whereas when my hubby travels most, its for work and he tends to be away for longer periods of time so a room thats spacious with a separate working area is preferable to him. This room more than catered for us both. As we walked through the door there was ample wardrobe space with an ironing board, iron and trouser press stored inside ready for use, along with a sizeable safe which was perfect for storing out valuables in. While the hotel was perfectly safe, I do like it when a safe is provided complimentary as I often travel with some of my favourite accessories that I want to keep secure! A wide, full length mirror was next to the wardrobe ensuring that you can always see exactly what you look like before heading out to that all important meeting or dinner date. Don’t you just hate it when hotels don’t have full length mirrors? 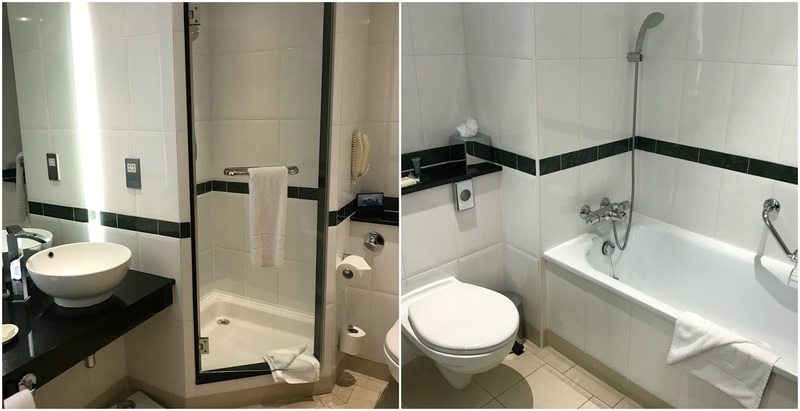 The spacious bathroom with Peter Thomas Roth toiletries, soft and fluffy towels, bathrobes and slippers offered everything we could need, including a separate shower and bath which I always prefer to the over the bath style showers. The main body of the room was the real selling point for this accommodation with its wall to wall windows offering that incredible view. 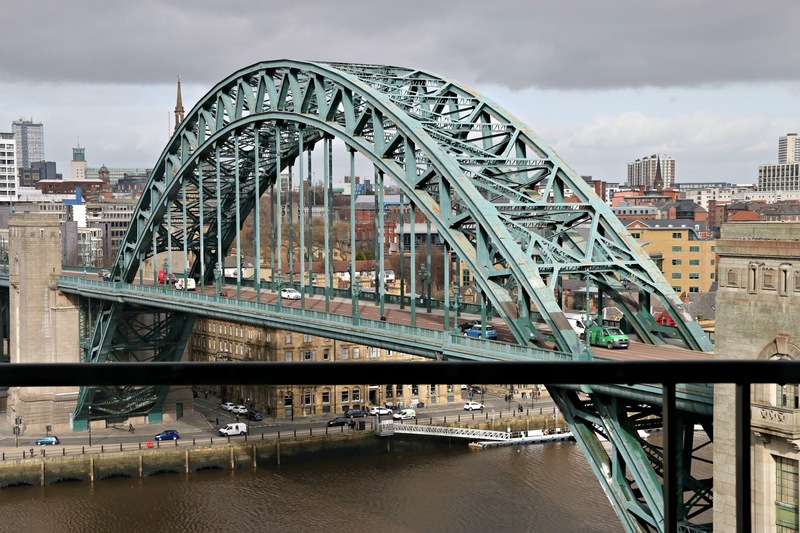 I could spend so much time looking out over the city; Newcastle always has a buzz about it day and night but despite being so close to bridge, we had a very peaceful nights sleep and didn’t hear a peep from any traffic. 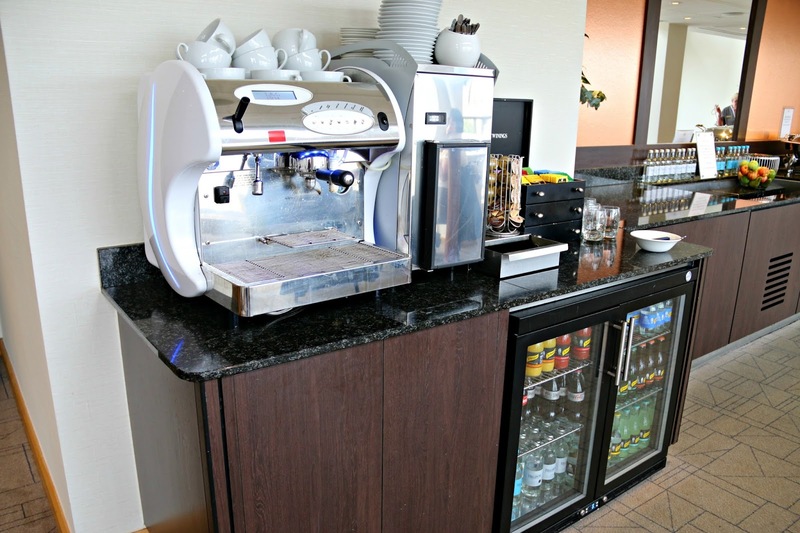 The room benefited from a generous work station where the complimentary mineral water, tea and coffee making facilities, mini bar and office amenities such as the phone system were house. 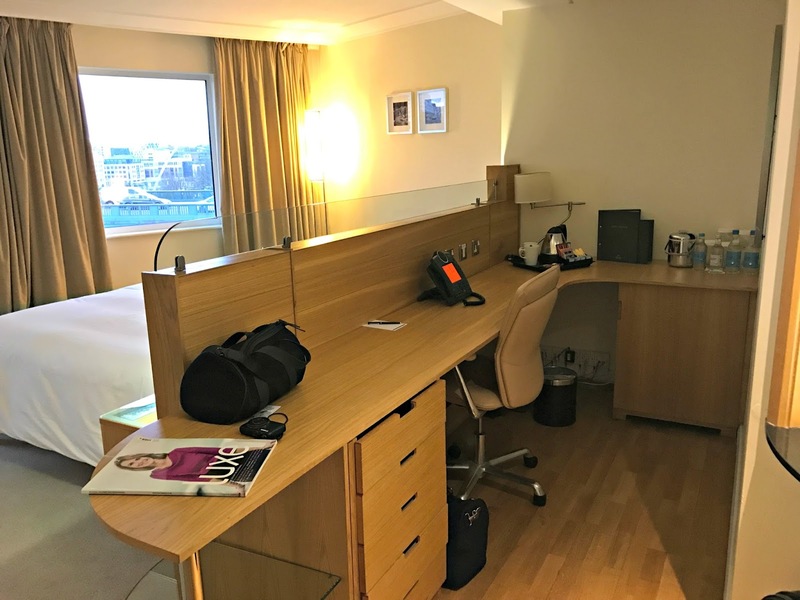 An ergonomic chair made sitting at the desk to work comfortable and there was plenty of drawers for storage of paperwork or other clothing, should your stay be longer than ours. My husband in particular was really impressed with the office area because it was located behind the bed so once he had finished working, he was able to sit on the huge kingsize bed or chaise lounge to watch the TV with on-demand movies or take in the view without having the distraction of looking at paperwork. This is so important if you’re staying away from home on business because its hard to maintain a work/life balance and feeling of switching off. Of course, the facilities at the Hilton are plentiful that you need not spend much time in your room if you don’t want to. For the fitness fanatics, there’s a gym to keep you in shape and for those who love a swim, there’s a pool with jacuzzi, sauna and steam room, all of which are included in the overnight room rate. The pool was a little too popular with children during our stay so unfortunately we didn’t get the chance to enjoy the facilities before we checked out the next day. After settling into the room, it was time for me to head downstairs to the Windows on the Tyne Bar to enjoy some cocktails with the other bloggers who were staying at the hotel. 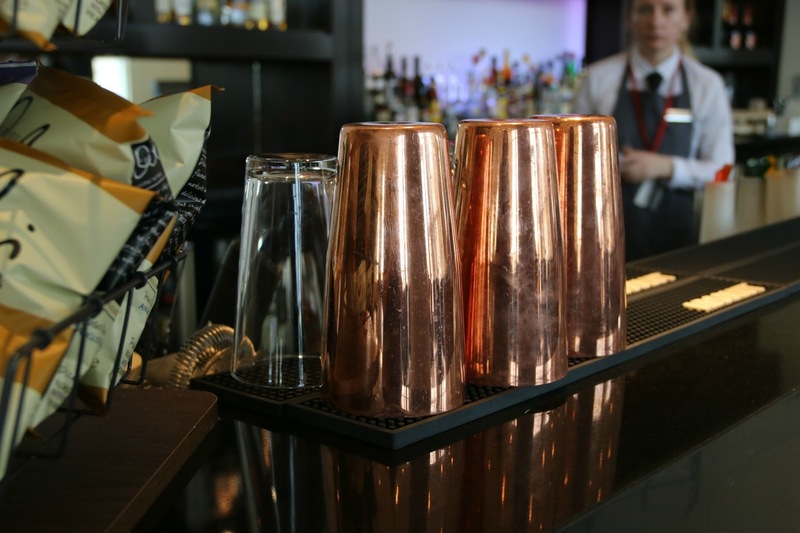 The drinks menu at the Hilton is extensive with a great range of the most popular cocktails. 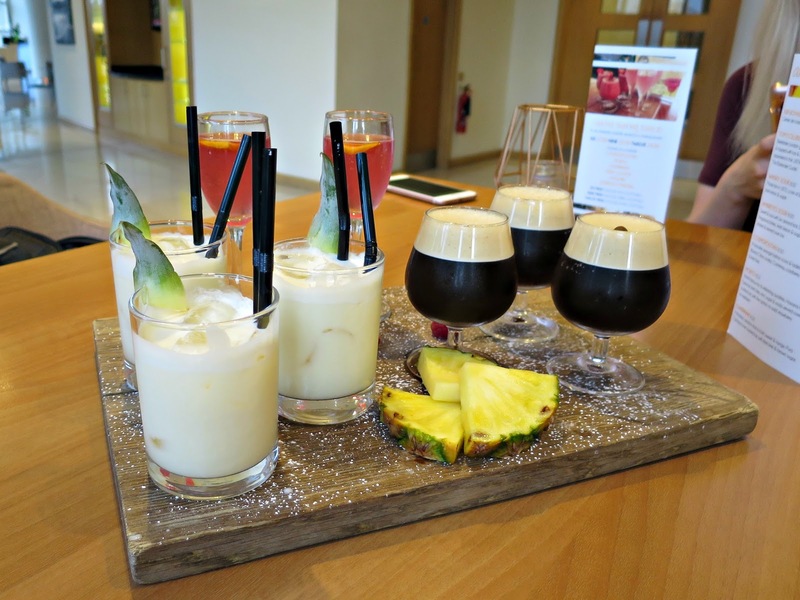 I tried out a Strawberry Daiquiri which has to be one of the best I’ve had before we had some cocktail sharing platters between us which included a delicious Cosmopolitan, Espresso Martini, Strawberry Daiquiri, Mojito and Pina Colada. 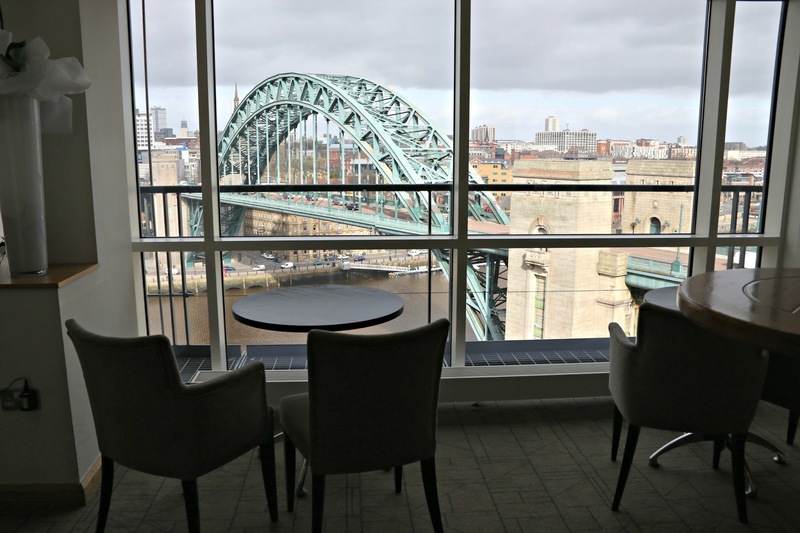 Next, it was time to head up to the Executive Lounge where we enjoyed a couple of glasses of bubbles while looking out at the night sky over the Tyne; the perfect way to wind down after a long day. It was here that we were able to look over the menu for the hotel’s Windows on the Tyne restaurant; very aptly named might I add. I wore my gorgeous Yours Clothing Navy Cold Shoulder Crinkle Bardot Top for the occasion paired with white jeggings. You may have spotted the look over on my Instagram. Thanks Pretty Little Gym Addict for this image! 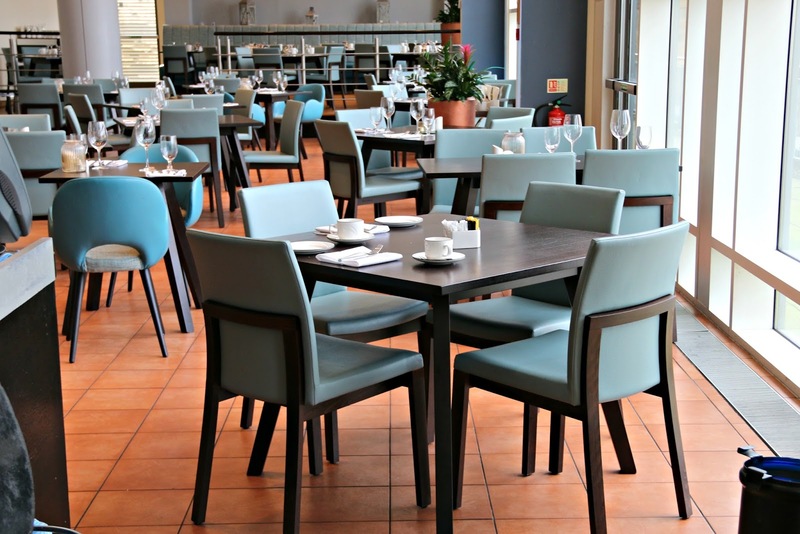 The great thing about this restaurant is that they offer additional menus for dietary requirements; gluten-free, dairy-free and vegan. I am dairy-free and cannot tell you how greatly I appreciated this. I only discovered that I had a cows milk intolerance back in February and I cannot begin to tell you how difficult it is to eat out at restaurants; from very limited food choices to staff not understanding the importance of your requirements, I can tell you that it was a breath of fresh air to be able to go to the Hilton and enjoy a three course meal, chosen from a completely dairy-free menu, safe in the knowledge that the waitress and chef knew the importance of food intolerances. 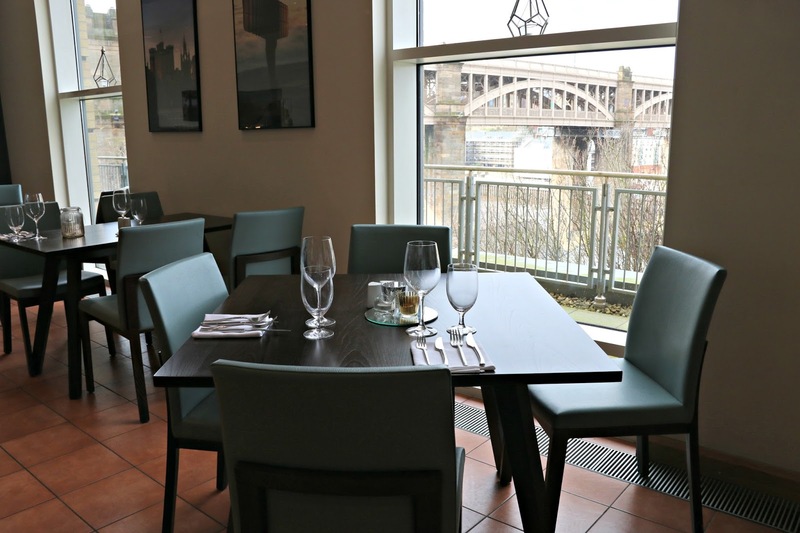 I’d certainly go back to the Windows on the Tyne restaurant to enjoy a meal out again; I’d love to take my hubby as I know that he’d really enjoy the food and its great for me to be able to feel included with plenty of options to choose from. 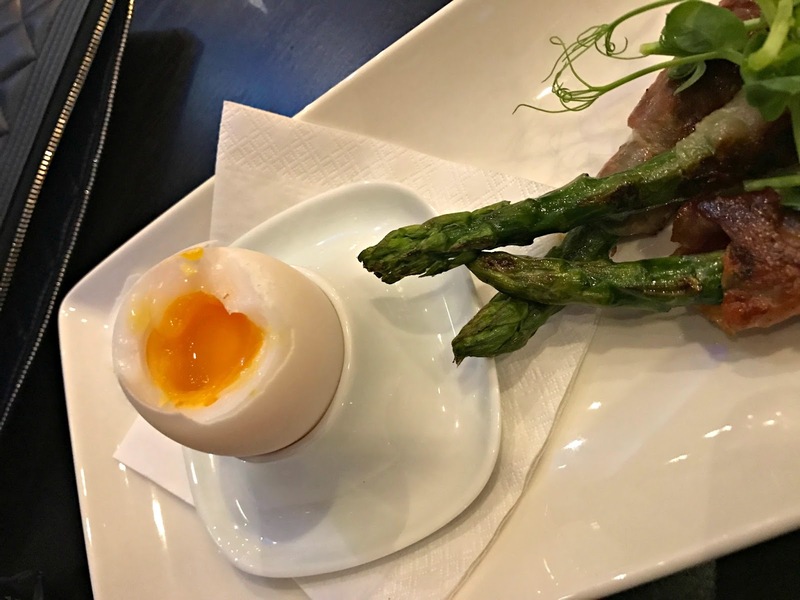 I picked the duck egg and asparagus wrapped in parma ham starter, followed by the fillet steak and king prawns (cooked in olive oil and garlic rather than the butter from the main menu) which was served with hand cut chips, button mushrooms and a tomato compote, followed by the sorbet. Although by the time I reached dessert, I was fit to burst. Thanks for this image Pretty Little Gym Addict! 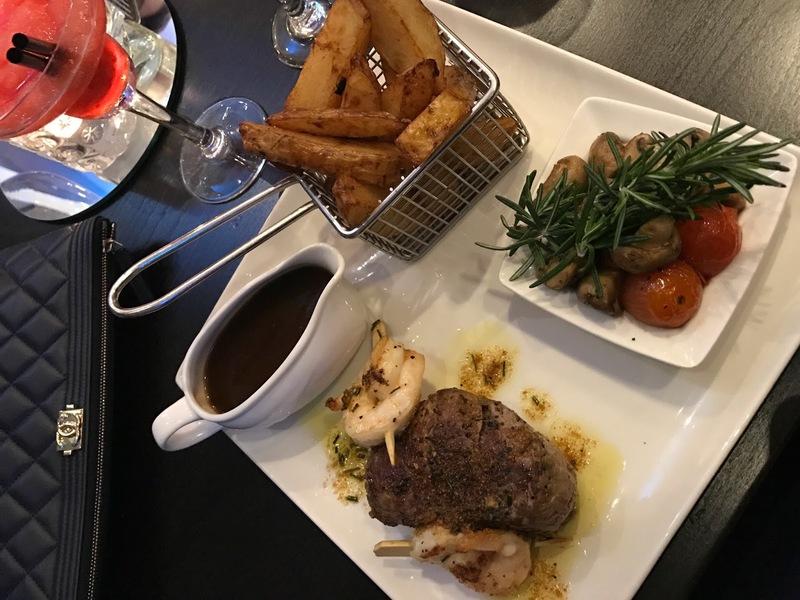 The food was expertly cooked to perfection and I thoroughly enjoyed every mouthful. I’d highly recommend the steak in particular if you should dine here; it is not one to be missed! My appreciation must be awarded to the chef but also to Shannon who served our food. She’s a real credit to the hotel, was very attentive and couldn’t do enough for us. With exceptionally full tummies, we headed up to our own rooms after dinner where I was reunited with Mr WLL who had taken such a long bath that his feet and hands were beginning to resemble raisins. We decided that breakfast in our room was the best way to thoroughly appreciate our stay and the incredible views from our room. After filling in the card and hanging it on our door, we retired for the night and enjoyed a very comfortable nights sleep. The blackout curtains ensured that no light from the city was able to peak into our room and we didn’t hear a single sound from the corridor outside or from the road at the front of the hotel; for a city centre hotel, it is exceptionally quiet which is brilliant news as it enables you to do all of the working, shopping and partying you want but it gives you the opportunity to get the peaceful nights sleep that you need too. Breakfast arrived bang on time the next morning and let me tell you, it was a feast! 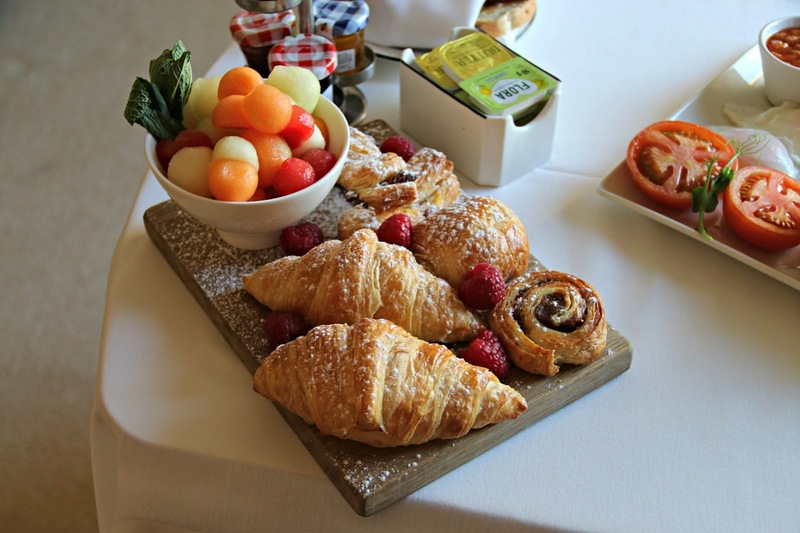 We shared a cooked breakfast and then I had melon while he enjoyed pastries; everything was piping hot and well cooked that should have been and every item that we had ticked on the list arrived. Breakfast was immaculately presented and with a little welcome card that made a lovely personal touch. 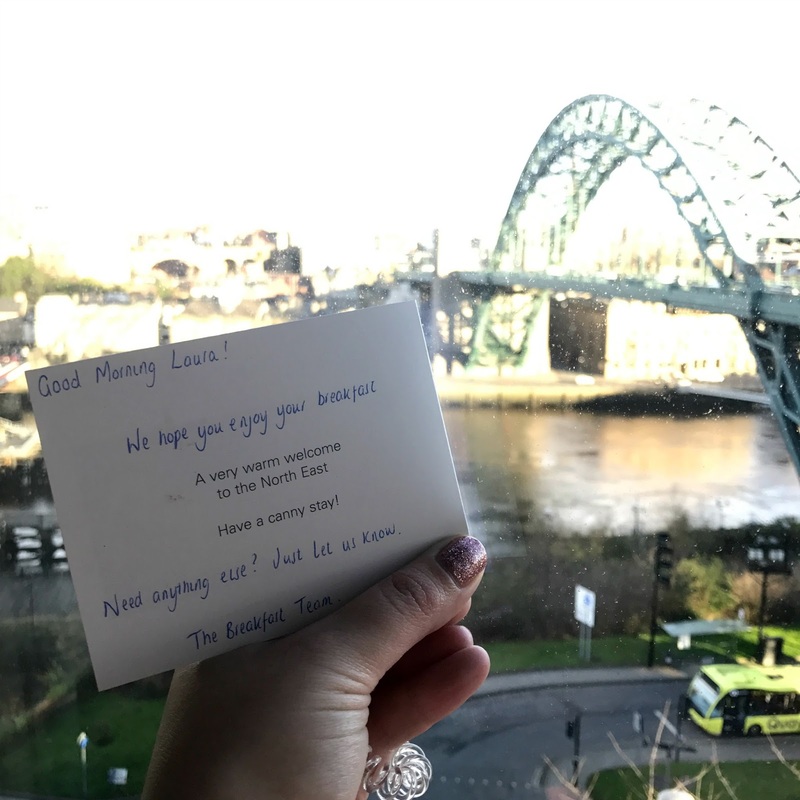 This level of service is something that you don’t usually receive in larger hotels so to see the Hilton doing this impressed me. 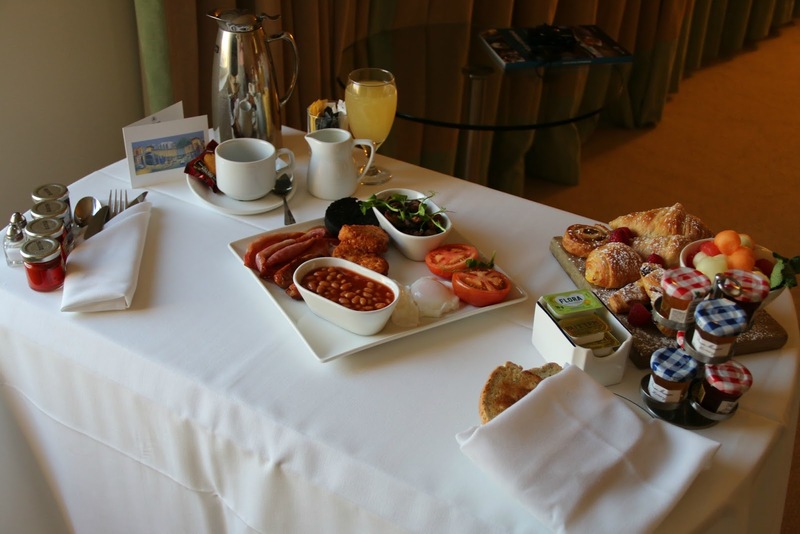 We also liked how the room service breakfast was brought up on its own fold away table which mean that we could sit on the chaise to eat. It was certainly a breakfast of champions and rounded our stay off perfectly before a quick check out and a short walk down to the secure hotel car park. 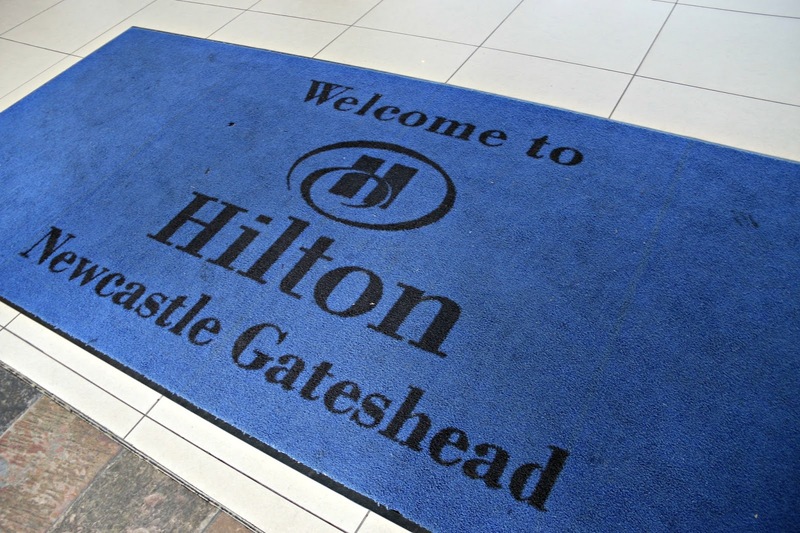 After staying at the Hilton Newcastle Gateshead, I wouldn’t hesitate to recommend it to those looking for hotels in the North East. It is by far one of the best hotels that I’ve stayed in in the area and nothing was too much trouble for the staff. I love that throughout our stay, the Hilton used a text message service to keep in touch with us to make sure that everything was ok with our room, the facilities and our experience. 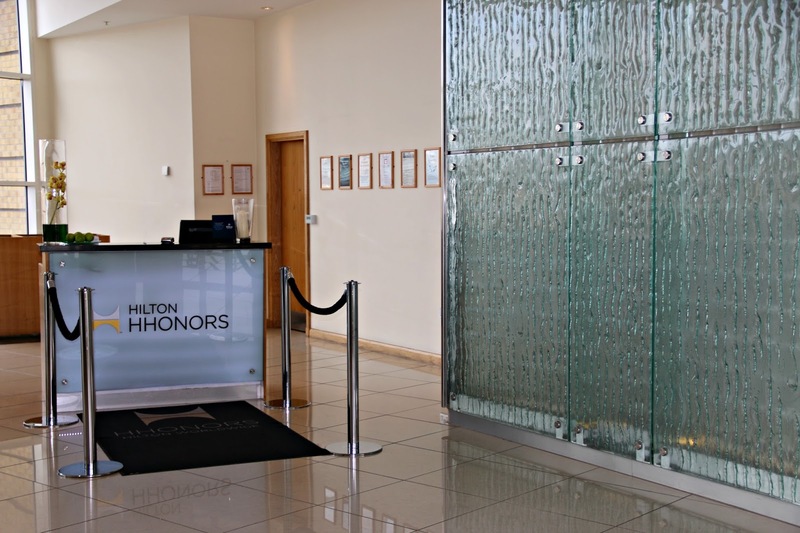 Every member of staff that we encountered was polite, courteous and knowledgeable which really makes a hotel stand out to me. 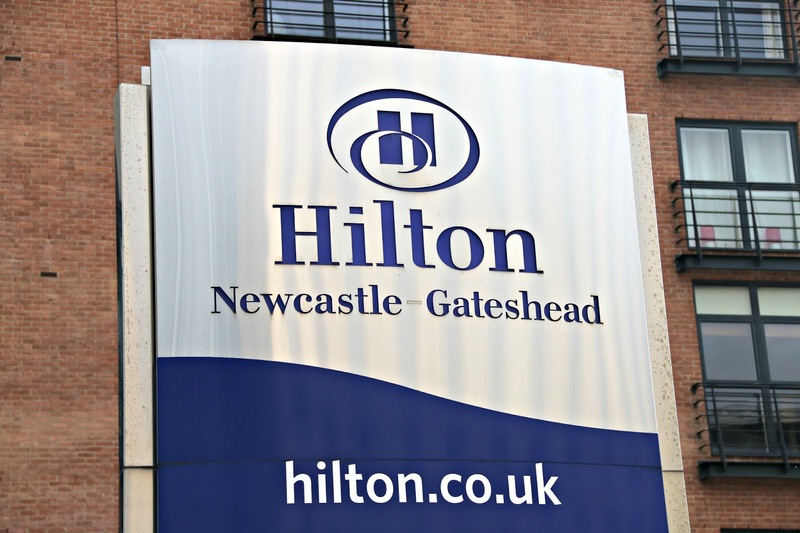 If you’d like to stay in one of the top hotels in Newcastle, then you’ll find a room at the Hilton on a one night Bed and Breakfast basis priced from £109, based on two people sharing a Hilton Guest Room. You can even get it cheaper if you book online which I’d always recommend anyway! 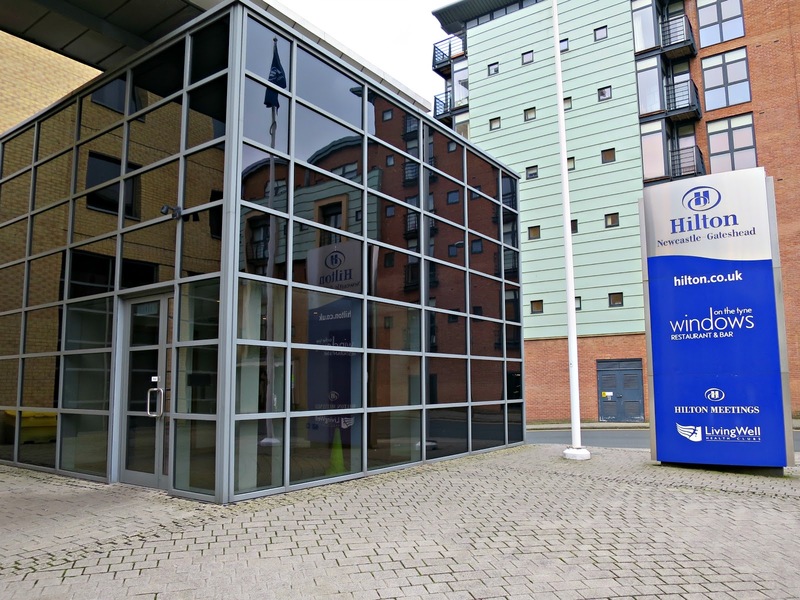 You’ll find the Hilton Newcastle Gateshead Hotel on Bottle Bank, NE8 2AR and you can give them a call on 0191 490 9700 for enquiries. Fancy trying the experience for yourself? Book online here. Next Post Feeling Body Confident & Rocking Sports Luxe At Any Size! Beautiful photos Laura! I always forget what a great view of the Tyne Bridge there is from the Hilton. 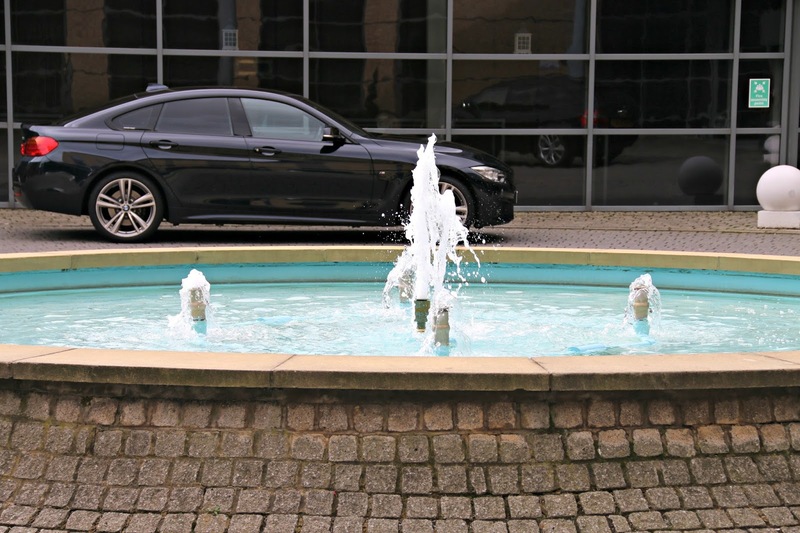 It really is the perfect spot for visitors to Newcastle! 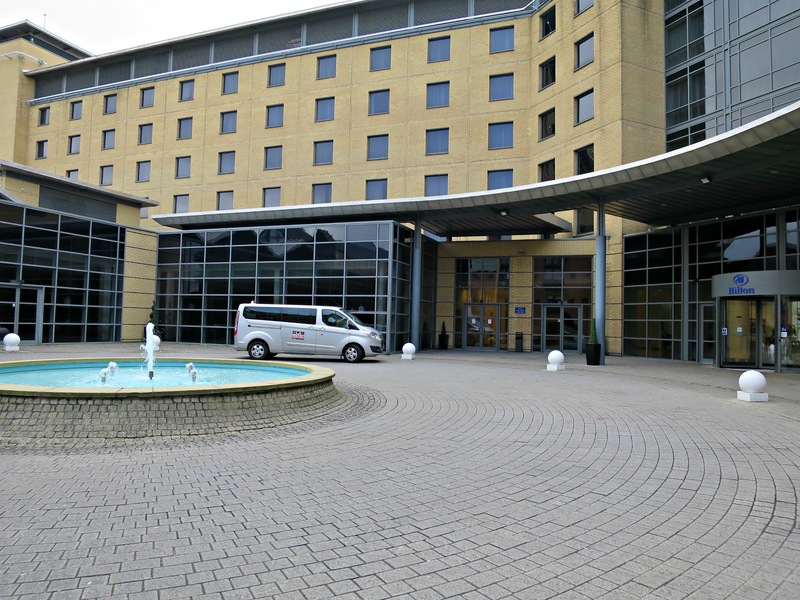 The Hilton Newcastle Gateshead looks like such a fabulous place to stay! Your room was gorgeous and the view spectacular. I'm really impressed with the workstation in your room too. The food really looked great, especially the breakfast. ive never stayed in any of the hiltons before. you do get lovely views and its beautiful in the evening! This sounds like a fantastic place! The view is beautiful, and your food & cocktails look amazing! 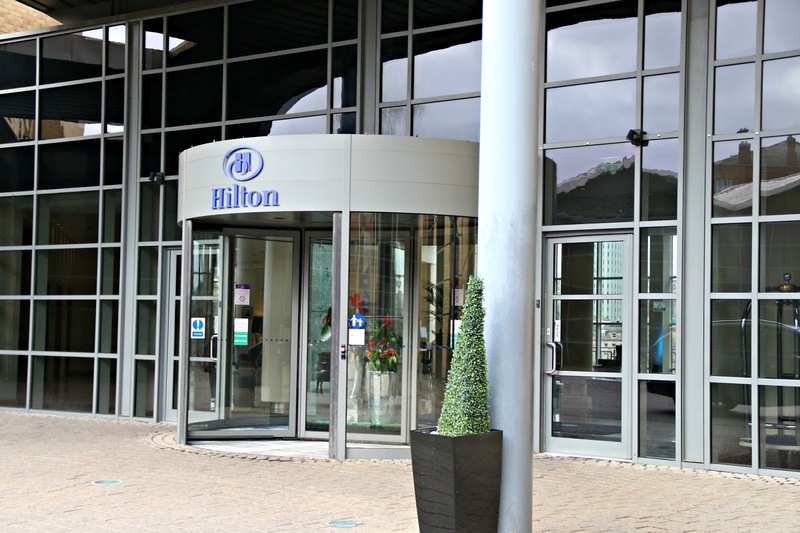 Hilton hotels are always so beautiful and accommodating! I absolutely love your makeup in these pictures – FLAWLESS! This looks and sounds an amazing place to stay. The view from the windows looks stunning! It's great their menu is so inclusive, the food and cocktails looked gorgeous. The view of the bridge from the hotel is amazing! 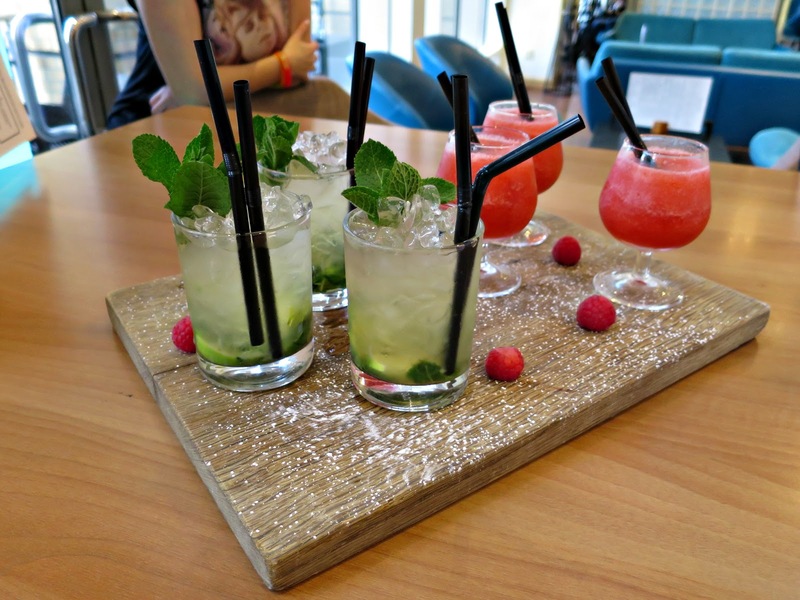 The drinks at the bar also look tasty! I love Hilton Hotels. I think they are really nice and this looks great as usual. Oh wow! this looks like a perfect day! 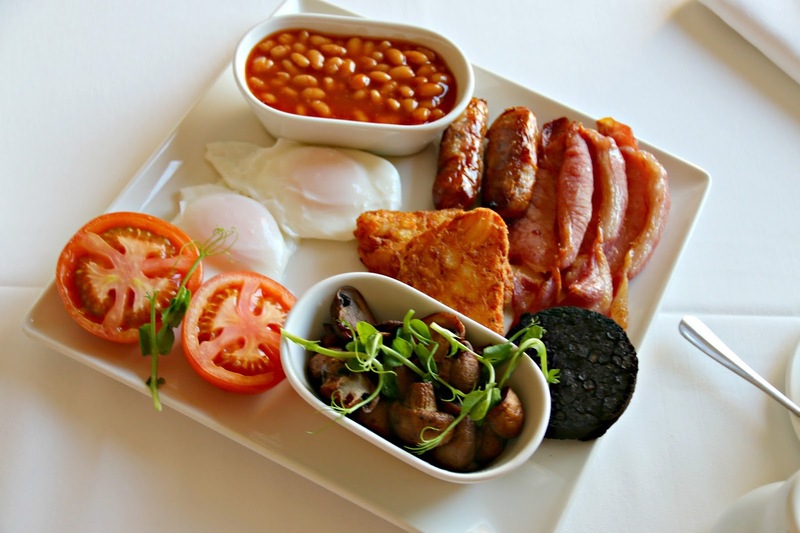 The breakfast looks fab! My friend has stayed there and really loved it as well. I have never stayed at a Hilton hotel but this looks so nice. 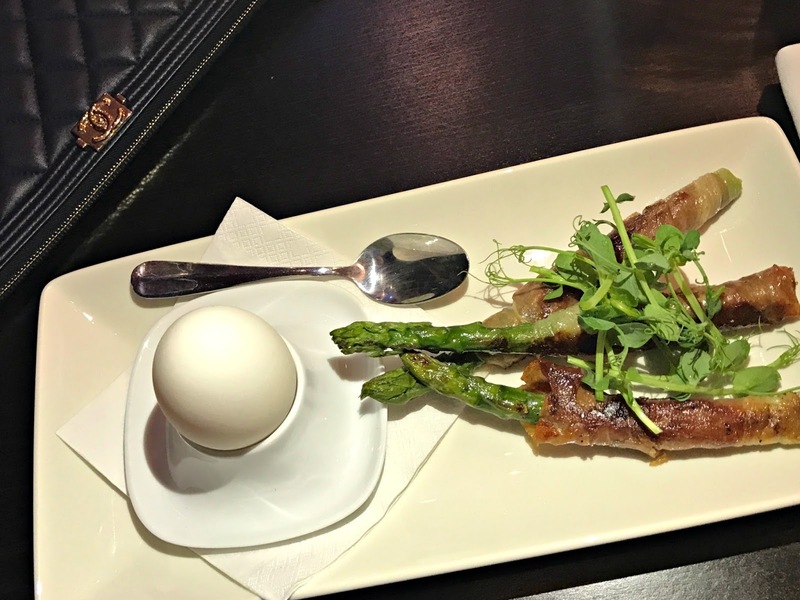 The food looks really good, I like it when you get good hotel breakfasts thanks for sharing. 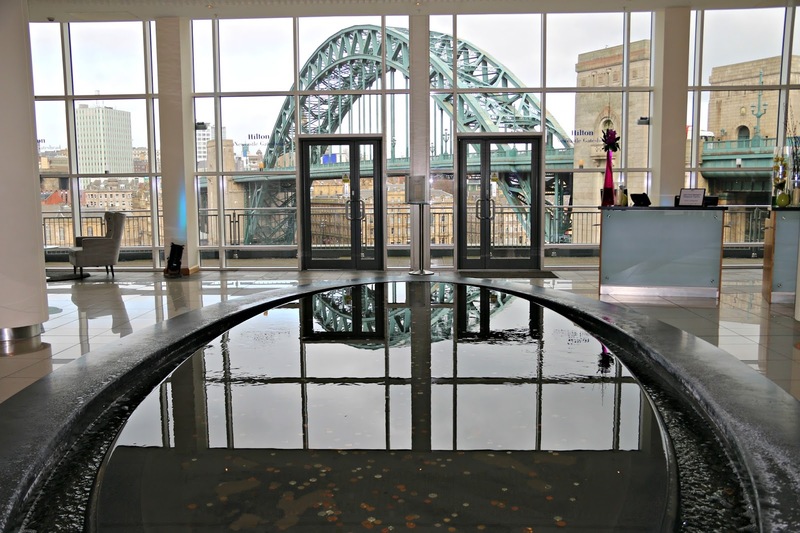 I'd love to visit Gateshead/Newcastle, it's been on my list for a long time.